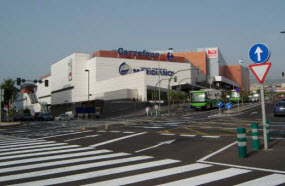 Santa Cruz is visible by the «Carrefour» sign on it. Here you may find a wide range of local brands at very moderate prices. Nearby there is a huge store of electronics Media Market, also known as Saturn. 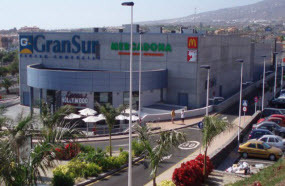 Meridiano is a complex which houses shops of such famous brands as Bershka, Mango, Massimo Dutti, Stradivarius, Zara, Adolfo Dominguez, Sfera, Pedro del Hierro and others. 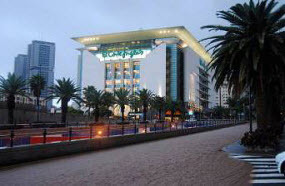 There are various cafeterias, beauty departments and a cinema as well. Tres de Mayo is famous for housing huge stores of two Spanish brands - Adolfo Domínguez and Puruficación García, both known for their variety of clothing, footwear, bags and other accessories at reasonable prices. If you are looking for electronics you may visit Media Markt (Saturn). GranSur offers diverse shopping options as well as leisure activities. 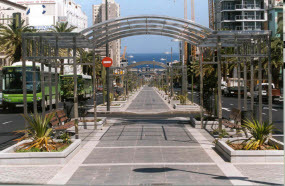 Here you may find phones shops (Vodafone, Todophones, Movistar, Yoigo, Orange), Mercadona supermarket, toys shop, hairdresser and children entertainment area. Clothing brands include Woman'secret, Stradivarius, Marypaz, Orchestra, Innova and Springfield.